PrimeFaces provides validation tags to validate our data at server side. The <p:ajax> is used to perform Ajax validation. 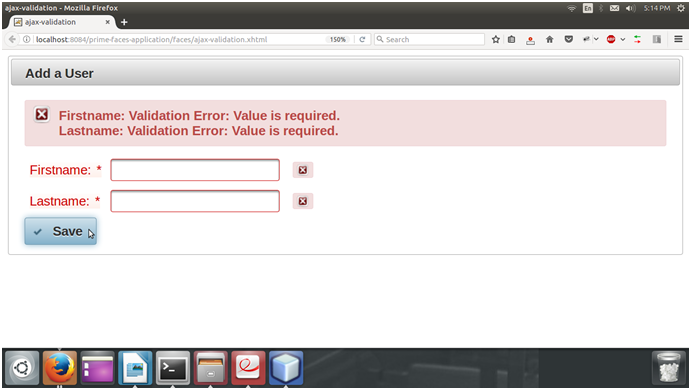 Here, we are creating an example that takes two inputs and validate at server side. It produces the following output after execution. It validates data at client side and produces the following data.